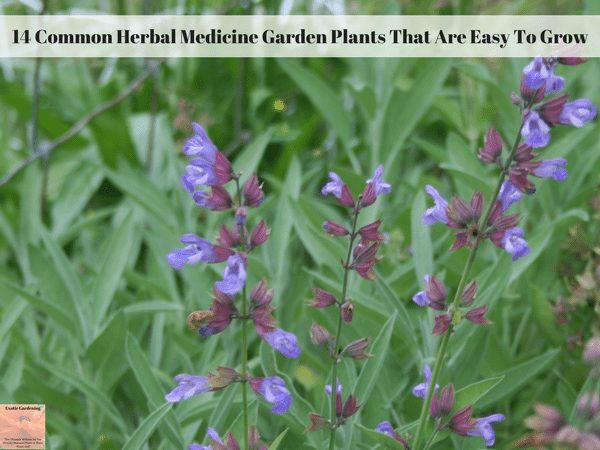 When it comes to common herbal medicine garden plants that are easy to grow indoors, in containers or outdoors in the ground, these fourteen herbs are some of the easiest to start with. Long before there were doctors and high-tech medications, people were growing their own herbal remedies so they could be more self-sufficient and manage a large number of illnesses that affected their friends, family members or themselves. Many common herbal remedies can be grown, gathered, steeped in teas, or put in ointments however it is important to remember to seek medical advice for serious illness or long term illness and that this article is not intended to diagnose, instead use it as a guide. If you don’t know how to use the herb you plan to use, check with an herbalist or get a book at a whole foods store or health food store about the best ways to use these plants for their therapeutic value or better yet, ask a doctor. While not all medical doctors believe in using herbs, there are ones out there that do. If you are taking prescription or even over-the-counter medication you need to ask your doctor before you begin using herbs to make sure there is not going to be a negative interaction between the herbs and the medication. Basil: Basil is one of the easiest common herbs to grow in a pot in a sunny room or on your porch. Basil is a common herbal medicine whose fresh leaves work best. It helps people with loss of appetite, fluid retention and even insect bites becuase of its antibacterial properties. It is an annual plant but grows to a nice size for picking the leaves and using them for food or medicinal purposes. Chamomile: Chamomile makes a great tea or you can make an ointment with it for topical applications. The flower heads of chamomile can help relieve tension and anxiety; it also works to ease symptoms of colic and indigestion. Topically, it helps with skin irritations and areas of inflammatory skin conditions. Chamomile tea is often used as a sleep aid. Echinacea: This perennial plant makes flowers that are used to enhance your immune system so you can fight off viruses better. Feverfew: These plants have leaves and flowers that can be steeped in a tea or chewed in order to control fever, headaches, arthritis, and various skin conditions. Johnny Jump Up: This plant has many anti-inflammatory properties so it can be used as a tea or for topical application in conditions like eczema and blemishes of the skin. Used orally, it can loosen phlegm when you have a chest cold. Lavender: Lavender has great properties when it comes to relaxation and calming. It is used as aromatherapy for stress relief. Apply it to cuts and bruises in order to act as an antiseptic to decrease the risk of infection. Lemon balm: Lemon balm is another common medicinal herb that grows well in a pot or in the garden. 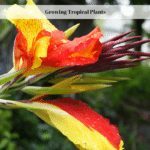 It is used for many things, including the relief of anxiety, insect bites, insomnia, and indigestion. When topically applied in an ointment, it can lead to faster healing of cold sores. Dried lemon balm along with dried hops put into a sachet inside a pillow often helps with insomnia. Calendula: A salve made with Calendula flowers works well for skin conditions, such as sunburn, blemishes and acne. 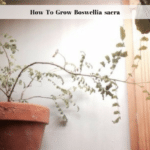 Parsley: Parsley is easy to grow in an indoor common herbal medicine garden. Parsley is a healthful herb that helps with bad breath and also helps with digestion. Peppermint: Peppermint is a great herb for gas or digestive problems. It can be made into a tasty tea that also helps people with headache pain. Rosemary: Rosemary is an herbal remedy that is used to improve mood, memory and concentration. Sage: Sage was used for medicinal purposes before it was used as a culinary herb. It is often used as a gargle for sore throats and coughs. It is also said to improve memory and sharpen the senses. Thyme: Thyme is a very strong antiseptic that works for people who have congestion, gas, cough, or indigestion. Steep it as a tea or simply chew on its leaves. St. John’s Wort: This herb is used in many places in Europe and the United States for the management of mild to moderate depression. It is also used for symptoms related to depression, such as insomnia, loss of appetite, anxiety, and fatigue. You can grow the herb yourself, using the leaves and flowers in a tea to improve your mood but if the depression persists, do seek counseling. You don’t have to have a huge herb garden to produce enough fresh herbs for medicinal use for yourself or your immediate family. 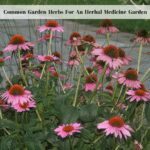 Start with a few items and expand your common herbal medicine garden as you gain experience growing the plants. It is also a good idea to keep notes and see how the herbs you grow work on life’s little ailments without using any kind of over the counter or prescription medication. In the event that things ever go south or SHTF you will have first hand knowledge of what works and what simply does not work. While many herbs are best used fresh, others are easy to dry and remain potent. If you are ready to get started and want to learn how to preserve your herbs, be sure to check out my course Preserving Herbs For Winter Use! Simply click the photo below to find out more!